Updated Friday April 12, 2019 by SLL. Following, please find news and information with regard to the 2019 Smithfield Little League season. You’ve Earned a Night Out! You drive back and forth across town each night. 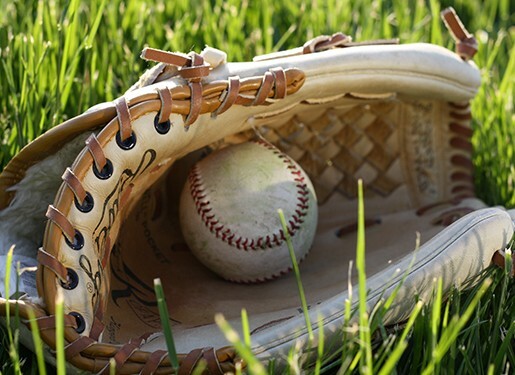 Your car is already full of dirt from the baseball fields and games have not even started. By mid-May, you’ll need a night out! On Saturday, May 18, the league is hosting a Beer & Wine Tasting from 6 to 9 p.m. at the Smithfield Elks. A number of raffle and auction items will be available as we take a night off from baseball to support the league. Purchase tickets before Opening Day and you’ll save $5 off each ticket. (Use the code OPENINGDAY to obtain the discount.) Click here to purchase tickets. If you know of a local business that would like to sponsor a table or donate an auction item, let us know. These events help to keep registration fees as low as possible! (Register ASAP as the first 200 individuals to who purchase tickets will receive a tasting glass.) A word of thanks to event sponsors Laura’s Bar and Grill and Ephraim Doumato Jewelers. Smithfield Little League proudly sponsors a Challenger program for children with special needs who have passion for the game of baseball. High school students assist each player at every game and practice as a “Buddy.” We need some Buddies! Interested? Please contact Ralph Boudreau, rboud67@yahoo.com, Manager Smithfield Little League Challenger team. Once again, Smithfield Little League and Smithfield Softball are collaborating on another memorable Opening Day celebration. The day begins with a parade from St. Michael’s at 9:30 a.m. followed by a (VERY) brief ceremony at Whipple where all fields will host softball and baseball games on Saturday, April 27. Your team manager will provide additional details as Opening Day approaches. A and AA Division managers have drafted their teams. Families in those divisions should keep an eye on their email for a message from their team manager. Schedules for the Majors and AAA Divisions have been posted to the Smithfield Little League website. A and AA schedules will be posted shortly. Be the first to know! Follow the league on Facebook, Twitter and Instagram.